Cid Style File: 2010 Out Takes! 2010 is over, it was a great year with many great moments. My blog has evolved and grown, so has my style. Although many of my outfits were not so great or special, I did take lots of pics. 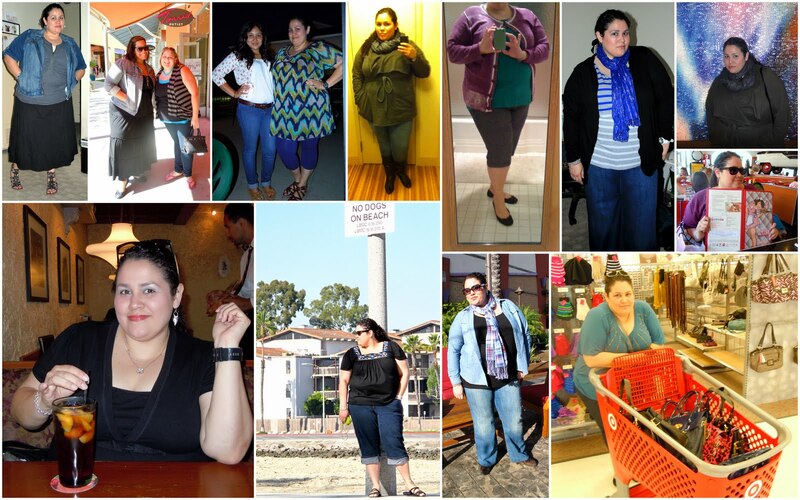 I was more daring in my styling, wore more colors than usual and it was the year I met many other great bloggers. Above you will see a few of the outfits and pictures that never made it to the blog. (Don't laugh, OK if you LOL a little I understand!) I was either not happy with the outfit, the pictures or just never got around to blog about what was going on at the time. I had a good giggle going over the pictures, seeing my year flash before my eyes and how things have changed. I feel very lucky and grateful for all the wonderful opportunities my blog has given me and looking forward to many more wonderful moments in 2011. I am also blessed to have met many awesome bloggers through out the year, many from other states and even other countries. The blogging community more specific the plus size (fatshion) bloggers have been wonderful and very kind to me. Thank you to all the beautiful ladies I have met for being awesome blog buddies. Also thank you to the readers of the blog for being a great audience. 2011 is our time to SHINE and make our dreams come true. I wish you all the best in whatever you do, whatever dreams you may have and may you reach all your goals. Have a wonderful, beautiful and successful 2011! HAPPY, HAPPY NEW YEARS CID! I'm so glad that I got to know you last year! And I loved all your OOTDs of course ... here's more to fashion fun for 2011! xoxo! That picture with a cart full of Mulberry bags is hilarious! Love it! Yes we are a Big Fat Deal! I'm Paying It Forward Too!